In a small town on the outskirts of Tel Aviv lives a family in trouble. Yaki and Shaul are brothers still living at home but when the family stumbles into financial difficulties and it looks as though they may lose their home, the brothers devise a plan to make a quick buck. Sure, it's devious but also done with good intentions: the good of the family. Critic turned director Tom Shoval's Youth goes south when Yaki enlists in the army and is assigned a rifle. The brothers, now with a weapon, hatch a plan to kidnap a woman for money and though the trailer doesn't show it, it's safe to assume things don't end well. They never do. 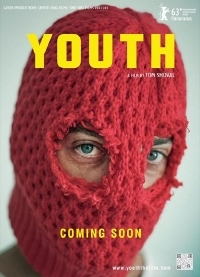 Youth has been making the festival rounds since earlier this year and will play in the First Feature competition at BFI.